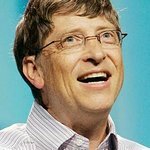 In his latest blog entry, Bill Gates lays out the roadmap for eliminating the threat of malaria globally, and suggests the goal is in sight. Gates addressed the annual meeting of the American Society of Tropical Medicine and Hygiene in New Orleans, and chose to focus his speech on malaria rather than the current ebola crisis. Through the Bill and Melinda Gates Foundation and its work with partner organizations such as Malaria No More, the Microsoft founder is driving a three-pronged strategy to tackle the disease: Complete Detection will ensure that all those who need treatment are identified, Complete Cure will produce vastly more effective medical treatments, and Complete Prevention will reduce the rate of initial infections.